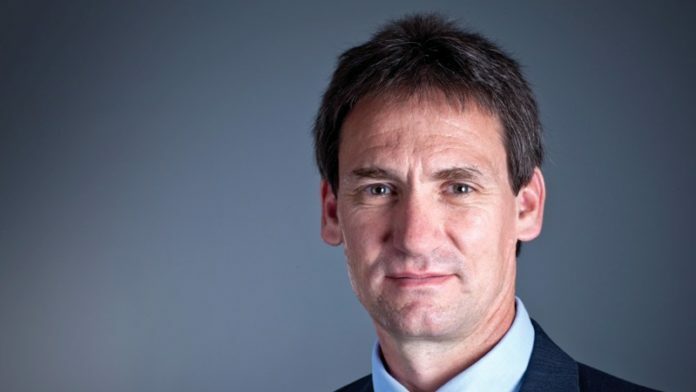 ANGLO American Platinum (Amplats) CEO, Chris Griffith, thinks it’s entirely possible the platinum group metal (PGM) sector can change its spots by adopting strategies to grow demand instead of increasing production. For an executive whose key competence is mining engineering, the notion of self-restraint when it comes to digging holes is remarkable. It sounds like a pipe dream. “I don’t think it’s a pipe dream at all,” he said in an interview. “We have shown in previous efforts through the Platinum Guild International (PGI) that marketing works,” he added, referencing the 1.5 million ounces a year in platinum jewellery demand the association previously generated. “The PGI’s success is a positive long-term story and we need to invest more. We simply cannot allow the jewellery market in China to lose 100,000 to 200,000 platinum ounces per year,” said Griffith. That’s equal to a medium-sized platinum mine for each and every year, a decline so precipitous the industry can’t afford it. It’s a commendable and valid point but miners being miners … At least, that’s the view of former Harmony Gold CEO, Bernard Swanepoel, who today runs a highly successful mining investment conferencing company as well as a private equity fund that, so far has invested in South African coal. “You’re saying we all go into marketing instead of mining?” he said. It seems to be a dose of scepticism that is rooted in reality, not to mention history. Attempts to regulate the sector’s enthusiasm for, well, digging is legendary in the sheer scope of its failure when one considers the fundamental boom/bust nature of mining. According to Paul Dunne, CEO of Northam Platinum, he intends to press on with his firm’s plan to produce one million ounces a year of PGMs, all of which is to be achieved through brownfields or organic development. “We are growing down the cost curve,” he said of a strategy that will see his company roughly double PGM output since his appointment in 2014. But he wouldn’t build an entirely new mine. “You need a platinum price of about $2,000/0z for a green fields project. Brownfields … an expansion you can get away with for $1,400/oz. Then you can do something,” he said. The platinum price is, at the time of writing, $890/oz. Steve Phiri, CEO of Royal Bafokeng Platinum (RBPlat), said his company isn’t even thinking of the second phase of its Styldrift project, the first phase of which it has mightily struggled to finance at between R10bn to R12bn. And yet, as if to demonstrate Swanepoel’s scepticism, there’s IvanPlats, a Toronto-listed company with growth on its mind. The IvanPlats mine is located in the northern limb of the famed Bushveld Complex which accounts for about 72% of world platinum supply, and a higher proportion in its total reserve base. The northern end of the limb, relatively unexplored, has also attracted the interest of Platinum Group Metals, a Canadian company, which is hoping to build a predominantly palladium mine. Said Mouton: “Not many were believing us 10 years ago but now we are drilling the area and there is a lot of opportunity. The northern limb is going to take off; it is on the map. It’s just a question of when the capital is coming,” he said. OK, so here is the thing. Realistically, the demand will not increase, it does not matter how much money we throw at marketing. You cannot force people to want something that they do not want. Focus on costs in the business, close down all of the deep underground operations and focus on Mogalakwena. This massive open pit can supply the realistic demand for decades to come at a great return for shareholders. Close down your large head office and central services, focus all your efforts on Mogalakwena and move your offices there…. The Platinum will remain safely in the ground. It does not make sense to mine it at a loss while at the same time endangering the lives of people to go and mine underground…. I will have to decline your kind offer… I am too busy counting my money….